Adorned with a mesmerising shade of sapphire blue crystals, add a splash of colour with this striking design. 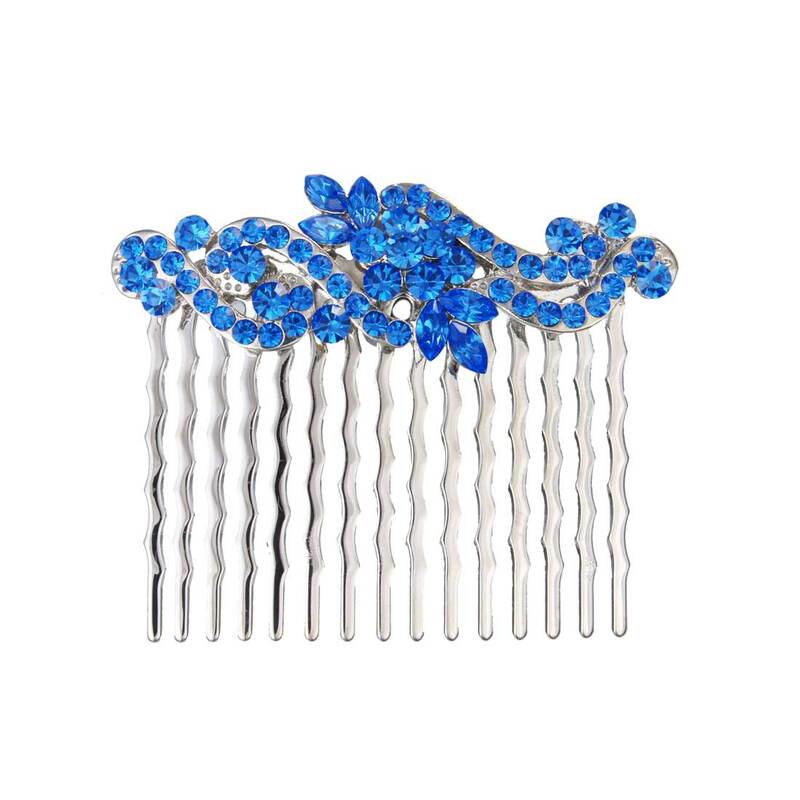 This chic silver tone hair comb combines vintage style with bright, vivid colour for dazzling style. Adorned with sapphire Austrian crystals, the design features ornate scrolling with a floral centre. Taking inspiration from genuine vintage hair combs, it looks divine worn in a chic up-do, stylish chignon or loose curls. Perfect to wear to compliment a simple evening dress or a fabulous ball gown, this versatile hair comb instantly adds chic colour and compliments all hair colours.